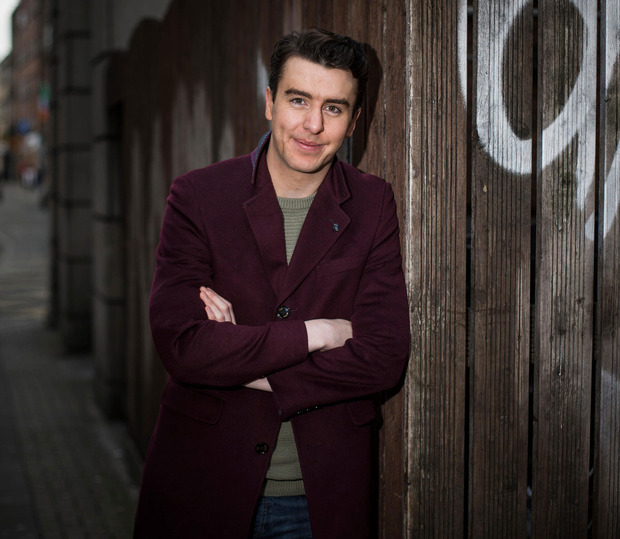 Al Porter will no longer be appearing in the Olympia's Christmas panto in the wake of several allegations of inappropriate behaviour. The producers of Polly and the Beanstalk confirmed that "due to recent developments" the stand-up comedian (24) is "standing aside" from his leading role in the production. A statement, released on behalf of Pat Egan Management and his manager Stuart O'Connor, added that a replacement star will be found shortly. The Tallaght man was due to be the star of the panto, which he co-wrote with comedian Karl Spain, and the curtain was due to rise on the show on December 15, with it running until January 14. But in light of recent events, the decision was taken that he would no longer continue in his lead role in the production. The fall-out has continued to engulf the star's career after allegations of indecent behaviour first emerged last Friday. The situation culminated in Porter resigning from his €140,000 lunchtime slot with Today FM at the weekend. Muireann O'Connell will host the lunchtime slot for the rest of the week, while the station seeks to find a permanent replacement for the presenter. Meanwhile, TV3 moved swiftly to distance itself from the star. He had been presenting its flagship Sunday night show, Blind Date, which was attracting an average viewing audience of more than 200,000 people. TV3 pulled a repeat of it that was due to air on Saturday night, after releasing a short statement saying that it would be "inappropriate" to broadcast it. In a further headache for the station, while the show had finished its run for this season, it is understood that some additional episodes were filmed with Porter and scheduled to run in the new year. "It's a huge upset for TV3," a source said. "They've invested a lot of money into Al, he anchored one of its biggest shows of the season so it's all up in the air now." One name being mooted as a possible replacement for the comedian is presenter Lucy Kennedy. She was originally linked with the dating programme, but will be busy in the new year fronting Ireland's Got Talent, so it is not yet known if it would tie in with her schedule. On Sunday, Porter confirmed that he had handed in his resignation to Today FM and was giving up his lunchtime slot, which he only started last February. He also apologised to anyone who had been upset by his behaviour. The broadcaster, who has been in the showbiz industry since he was a child, also said he had decided to take some time away from the spotlight after a lengthy spell in the entertainment industry. "While my conduct, which had been in keeping with my flamboyant and outrageous public persona, may be regarded as offensive and unacceptable by many people, I at no time intended to upset anyone," he said. He also said he had been taken aback by reports in the media and social networks, and by the "scale and tone of the vitriol". "Up until now I had been unaware of these complaints, or the impact of my conduct, and I am truly sorry for any distress I may have caused in what I had regarded as light-hearted and good-natured circumstances," he added. RTE was forced to apologise yesterday after a gif reading "deal with it" was sent from its RTE One account to a man who had accused Porter of sexual misconduct. RTE One apologised to the individual for the since-deleted tweet. In a brief statement, RTE said it has deleted the tweet and is investigating the matter.